1963 Fender Bassman. This one arrived in need of new caps and some control pots. 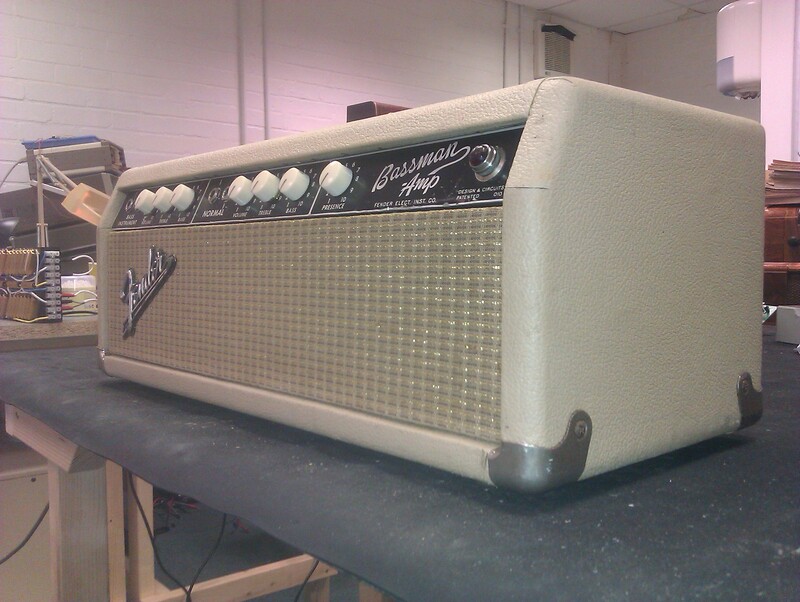 Once repaired, cleaned and treated to a set of period correct control knobs, she now sounds as good as she looks.